The General Data Protection Regulation (GDPR), the new privacy regulations set to go into effect on May 25 in the EU (plus Iceland, Lichtenstein and Norway), will have a major effect on a broad range of companies worldwide. 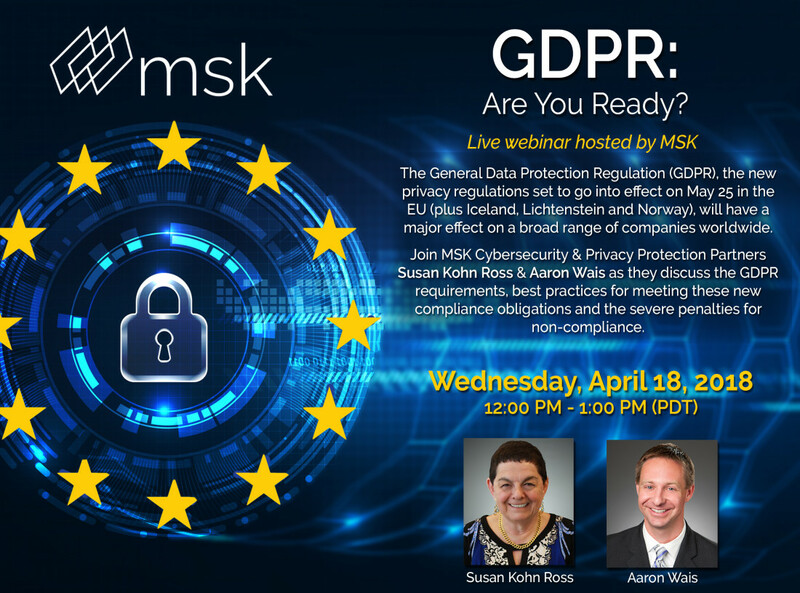 Join MSK Cybersecurity & Privacy Protection Partners Susan Kohn Ross & Aaron Wais as they discuss the GDPR requirements, best practices for meeting these new compliance obligations and the severe penalties for non-compliance. Click here or click the image below to register for this webinar.